There is an old saying that when one door closes another one opens. I’ve found this to be very true, but the timing of the new door isn’t always instantaneous. The hallway is our transition period. It is the path from one place to another. We can get angry and impatient when we don’t have all the answers and move quickly through the hallways. We can become stuck, or scared of moving forward through the hallway. Some of us even try to return to the closed door. 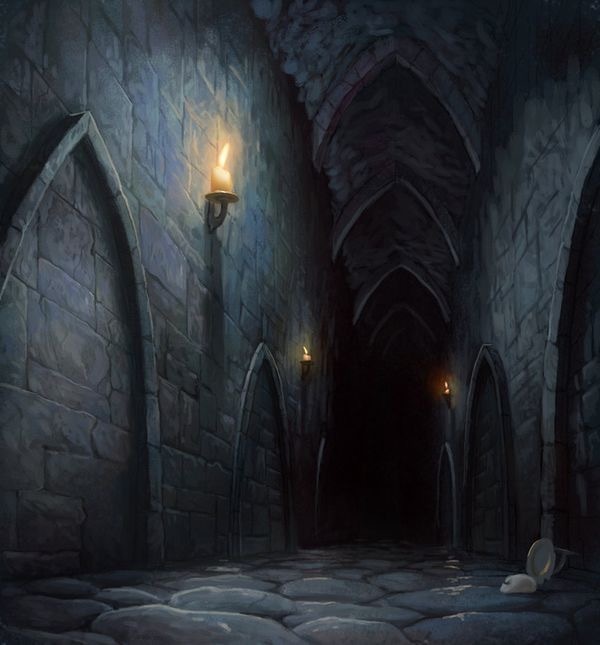 Your hallway doesn’t have to be scary, and you can make some peace in the hallway. The hallway is actually a gift of space for you to move into a better direction and improve yourself . It can be a wonderful opportunity to focus on your time and energy. Like a caterpillar becoming a butterfly, there is a chrysalis–a transformation period–between the beginning and the end result. There is a trust factors, and you must have the trust during your transformation. It may be long and uncomfortable, but ultimately you will grow into a new and beautiful being. There is a bit of the trust factor in the hallway. Just because you may not be at the next open door, you can live with more ease in the process. If you can trust that another door will open, you can enjoy the time in between and allow the people, places, and timing to line up for you. We are often uncomfortable not knowing what to expect. We can also find it difficult to surrender into the unknowns along the way. It is often how life operates, but too often we yearn to have all the answers to the equation of life. If we can accept our hallways as a gift or opportunity, we can have more peace and clarity until the door lights up for us. It’s a bit like trying to meditate when our minds are roaming 100 miles an hour. We can get frustrated and impatient with ourselves. Just as the goal of meditation is to slow down those thoughts and become the observer, we can transcend our experience in the hallways of life. You can even use meditation as a tool for your hallways. Some goals of meditation are to provide a space for a new perspective and shed heaviness of the mind. This is just one way you can have more peace in the hallway by experiencing more clarity daily. You can also take the time to do some things that your life or schedule may not have previously allowed. Use the time for personal growth and development. Perhaps the time in the hallway is a gift to get you up to speed to the blessings on their way. We do not have to have the whole thing figured out to make the time valuable. Being open and using some positive tools can improve our time in hallways of life. From our steps and stages, from one place to another, and towards our dreams, we are in the hallway of transformation. When you make some peace with your hallways, your daily life reflects that peace. 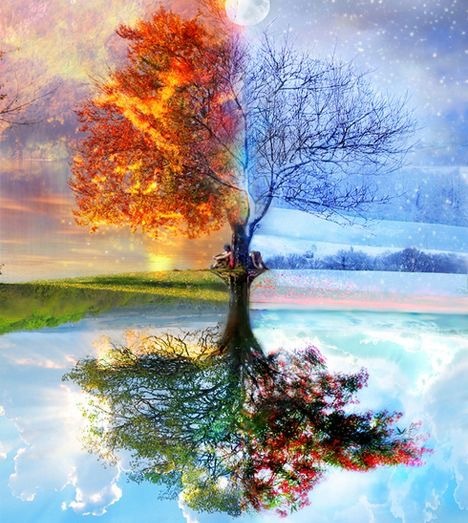 Seasons of change affect all aspects of our lives. Often when we make a commitment to things in our life, we assume it will last a long time or “forever.” The uncomfortable part is that many times it only lasts for a season. The season can be a few months, a few years, or several years. The point is sometimes it is a time to move on to the next chapter of our life. We have many wonderful things in store and many chapters in our lives. When we take on a new venture like a business or a relationship, we move forward with a mindset of a permanent intention. When it doesn’t work out or last, we can struggle with letting it go. Often we grieve over the loss of or an end to something. Though this is a normal process, it is good to keep in mind that change in our lives is inevitable and like energy, all things and relationships are in motion and subject to change. If we can give a little space and allowance for acceptance of seasons for things, we can be more receptive to change. There is a time for new chapters in our life and we aren’t always ready to close the previous one. It can help to look at the positive impact the chapter or venture has had on your life and others. Just because it was a good idea, a good run, or a promising relationship does not mean it won’t end or change, and we will always have new opportunities to unfold. It is being comfortable for the ebb and flow of life. In life and the universe everything is in constant motion. Things comes and go as well as grow and change. Often we fight and struggle to hold on to how things “were” and are resistant to the seasons of change. It’s not always easy to say goodbye to the plans we set up in our mind. Situations can have a good run, but new opportunities arise along the way. Sometimes the change is simply needed in your life for a better or healthier change. Just because something like a business or a relationship doesn’t work out does not mean it or you are a failure. We can feel like a failure, because our ventures didn’t last as long as we projected. We learn and grow and help others with everything we do. We may not always be able to predict how long an idea or venture will last, but we can adjust our perception of the situation. We can find gifts in everything we do, and we can let go easier when the timing comes. When we let go and accept the season, we can receive the next chapter, and it may turn out even better than the one we are trying to hold on to. When a relationship or a busines comes to an end, we have a normal period for grieving. The reason I say this is because when anything ends, we say goodbye to the good and the bad. If it was all bad, every decision in life would be simple and you probably would not have signed up for the venture to begin with. I’m not only encouraging you to be more open to change and seasons, but I also encourage you not to let the season stop you from saying ‘yes’ in life. Just because it either didn’t work out, or the time came for you to move on to bigger and better things, doesn’t mean the venture, goal, or person wasn’t worth your time. Some of the best things in life that we may do, happen in a brief moment or season. Our concepts and wanting control over the situation is what jams us up emotionally. No job, career, body, or situation lasts forever. When we can be flexible in that understanding, we can handle change when seasons are turning. You also really limit your options if you only allow the thoughts of one career, one opportunity, or one option to last forever. Our lifetime is temporary here and so are our ventures. So make the best of each one and accept they all have their timing. It also opens doors to more adventures and opportunities. Sometimes life tries to deliver a more beautiful scenario and we get in the way and block those blessings by trying to hold on to what was or how we imagined. It can be beneficial to be more flexible with our time and energy. Like water, we can flow more smoothly when not obstructed, and like nature, we have seasons and they do change. When you speak kindly and positively to yourself, you are creating a healthier environment for your cells to heal, respond, and thrive. 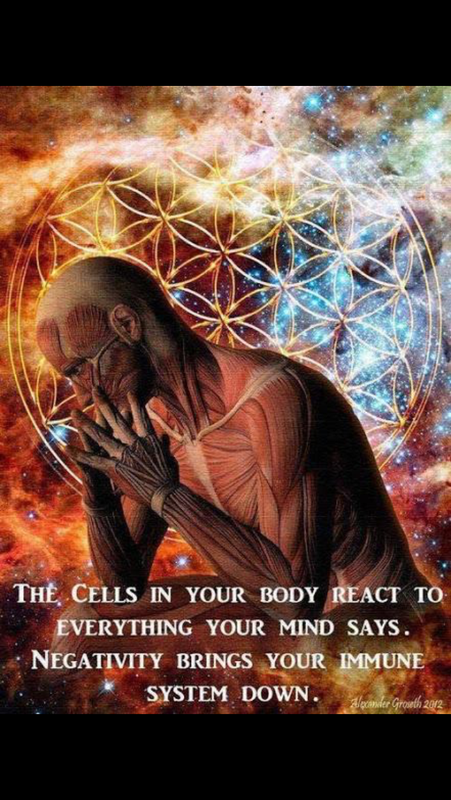 The cells in your body are ears to your self-talk and your feelings. Think of your cells in your body like receivers of messages from your nervous system. Your nervous system functions by receiving messages from the cells and the body as well as sending messages back to them. You can play an important role in your own health by being aware of how you think and feel and by practicing improved thoughts and feelings. In a sense, you are always serving as your own doctor by how you think, feel, and take care of yourself. I have noticed when working with clients and discussing health issues through the years that many people are not taught how powerful their nervous systems are and how much potential their thinking plays in their own health. A positive mindset regardless of your diagnoses and illnesses can not only change the dynamic of your care, but also give you the potential to improve your outcomes. Many people can feel helpless and reliant on other’s opinions when it comes to their health. I believe the more you can become your own advocate and be aware of your potential, the more you can feel empowered and have a positive effect on anything going on in your life and health. It starts with daily practice and being aware of how you feel about yourself and what you are thinking to yourself. If you are generally not being kind to yourself and speaking hurtful things to yourself, you cells and body are listening and respond accordingly. I understand we all have conditions and body images we may want to improve, but being negative towards those issues actually creates more to be unhappy with. Your thoughts are energy, and those messages transporting through our nerve cells are what our brains have to work with. To change or improve a situation, we must start with our minds and how we think about them. It is certainly okay to want to improve ourselves and feel better. The importance is to know the role we play in assisting our cells. Even if you are unhappy with an illness or body image, you have to improve your thoughts and feelings about it to leverage the power of your nervous system. The biggest behavior I ask you to change is hating yourself. That energy is very harmful to your cells and to your entire being. You may need to be creative in your perspective with yourself, but starting small can help. Let’s say you have a disability. If you focus a lot of your energy on that problem, you give the disability more power–but if you can step back a little and be more grateful of what is working for you, you actually help your disabilities. Perhaps one thing in the moment you can be grateful for is that your heart beats daily and you have lungs to breathe. Can you still walk? Are you having to go through harsh treatments every week? When you stop to think about what is working, you may find a list of miracles that happen for you daily. I find often when we stop to think about the things we do have working well, we find that we have more things going well than we do not. You can have nine things going well for you, but if you focus mainly on that one thing you do not like or feel good about yourself, you are not helping your cells exercise their miraculous capabilities. You inhibit what your body is capable of. Often our illnesses and disabilities have the power to teach us to love ourselves. Instead of viewing them as a burden or comparing ourselves with others, we can find gifts to help others and give our cells the potential to heal. After spending 10 years in the medical field, and then another 10 years in the holistic field, I have found no diagnosis to be permanent. I’ve seen so many miracles where people have beaten the odds with the power of their thoughts. So instead of feeling helpless or angry about your situation, consider accepting the information that your thoughts can be the miracle you’ve been waiting for. It is with you now and has been all along. Be kinder and more positive to yourself and give your cells better energy to work with. When you can believe in yourself and the power of your cellular system, you have more leverage and potential than you do by being hard or negative towards yourself. How Often Do You Replenish Yourself? 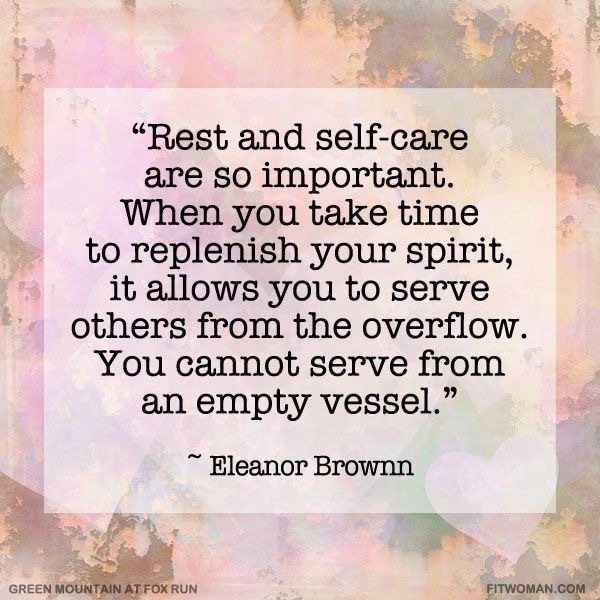 How often are you replenishing yourself? Think about an oil lamp burning without much oil. Eventually you either have to add more oil in to keep it working, or it will burn out. The same principle applies to your car. Some people change their oil in their vehicles every 3000 miles or 3 months as recommended. Some change their oil or add new oil when they notice the vehicle acting up. The way that you maintain your vehicle and oil is very similar to how we take care of ourselves. It would be wise and beneficial if you replenish yourself regularly as well. When you don’t take the time for maintenance and care, your body will break down, become ill, and perhaps stop working. Your health is just as important as (if not more than) your belongings. If you regularly clean your home, vehicles, and belongings without doing the same for yourself, you become very imbalanced and health issues generally pop up. We can prevent so many illnesses and injuries by taking care of ourselves and changing our own oil. I’ve seen so many people, including myself at times, put everything in their lives in front of their own health and needs. This leads to burnouts and stress-related diseases. Not only have I experienced this lesson in my own life, but have also seen it too often from clients and friends through the years. It doesn’t have to be so imbalanced. You can be good to others all the while creating time for yourself. And you can start simple. The less time you have for yourself is a big call to change some things. There are no rules in what replenishes you, but the important key is to do something (or a few things) regularly that uplift you and help you feel better and more rested. When you can balance the work and the responsibilities in your life, you can function better, get sick less often, and empower those around you that may need to the same for themselves as well. By giving ourselves permission to do more for ourselves and balance our lives better, we help those around us as well. Look around to see where you can start adding a little extra time in for you. It can be a hot bath before bed, or a walk in the neighborhood or nearby trail. You can also choose to treat yourself by getting a regular massage, adjustment, or maybe even a pedicure. If you’re working with a tight budget, be creative. Write, color, nap, draw, or maybe take the dogs for a walk. If you find that you have a hard time finding the time, you can start small with just 10 minutes a day, or set a day aside for yourself on a weekend. You may have to say no to a few things to accomplish this or let go of something to make room for you. The more you can do some little things regularly, the easier it can become a habit. Habits are formed by repeatedly doing them with practice. And you can take better care of yourself with time and practice. It really is worth it when it comes to your life. Our material belongings can be replaced, perhaps upgraded, but we don’t have as many options when it comes to our life. When you’re not feeling well, it is harder to work and take care of all the lists and responsibilities in your life. So when you are taking the time to replenish yourself, you are actually helping to take care of those around you better. You are a better employee or business person as well. Taking care of yourself is an investment for everyone. It is not selfish; it’s helpful. Just like changing the oil in the lamp or the car, you are improving how you run as well. Replenish yourself and make it a habit. When you wait until you’re down, sick, or burnt out, you have to travel much farther up the road to well-being. If you replenish as you go, you can experience less illness, stress, and conditions leading to negative results. Ultimately, taking the time to replenish yourself is healthy living–and healthy living can lead to longer, happier living. Many people wait for the conditions to change so they can be happy. They are waiting for the goal to come to pass in order to be happy. Do you catch yourself waiting for a situation to change before you will allow yourself to be happy? Perhaps when you lose that weight, get that dream job, find a partner, or earn enough money. Here’s a little secret that you can really benefit from. If you can find any way to focus on positive and pleasant things that make you feel good, you can not only choose to be happy now, but you attract more things that will be pleasing and happy to you. It works backwards from how you may think. No matter how your current circumstances are like, you have the power and ability to be happy now. The more time you can spend looking at the positives in your life, you attract the happier circumstances to you. When you practice feeling happy and joyful daily, you tune yourself to a vibration to allow the improved circumstances. When you would like things to improve, it starts with your mood. We all need to process our feelings, but we often get stuck mulling over situations that happened in the past, words that were said, and replay the unpleasant images repeatedly in our minds. The longer we remain in this state, we disallow our well-being, and feeling better. We give more energy to the past that we can not change, affecting our future. The creative process of the pivoting the emotions from low negative ones to a step up to more positive and higher ones, you began to allow improved circumstances in your life. This is a powerful tool we can use to leverage for better circumstances. Now that we have discussed the importance of feeling happy first. Think of ways you can improve your thoughts and feelings daily. Everyone will have a different recipe and interests that work for them. So this is a self journey of ways to improve your moods. I think that when you are overwhelmed and dealing with many negative thoughts it is easier to start with simply steps. One thought, one feeling, one enjoyed activity at at time. The more you practice the easier it gets and the better you get at turning your moods around. With any new thing you learn, it’s often repetition that helps you get better. The same goes for positive thinking and feeling happy. It is a choice and with practice it improves over time. To get from point A to point B, we have to start moving on the trail. I encourage you to move on your trail of happiness to receive more. 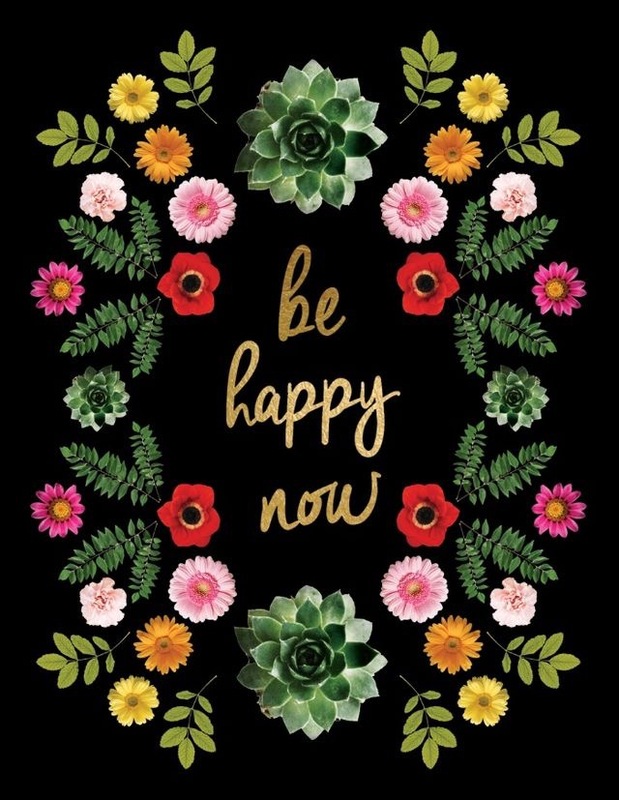 Remind yourself daily, BE HAPPY NOW, BE HAPPY NOW! 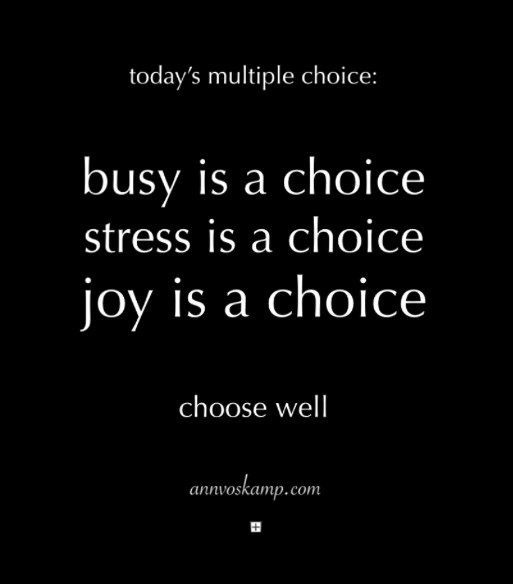 Stress is a choice, busy is a choice, and joy is a choice. Often we blame the circumstances and the situations in life for our choices, but it is in fact the other way around. We do design our lives . And much of our busyness and chaotic lifestyles are activities we sign up for and do not set any boundaries. We can put more on our plate then we can eat and sometimes even chew. In a similar way, , we don’t always pay attention to how much we put on ourselves, and we wind up struggling to chew. It’s kind of a one-two punch. We can either take some things off our schedules and say “no” more often for our balance in life, or we can choose a better way to navigate our responses. We can choose joy over stress even in the midst of stressful situations. How we respond in our lives affects our health and well-being. When we constantly live and move in a state of rush and stress, we deteriorate our mental, physical, and spiritual health bit by bit. Over time it adds up and then we struggle to put our finger on why we feel run down, bitter, and fatigued. This often leads to illness as well. When our lives feel so busy we can hardly keep up or possibly a bit out of our control, it is a good time to step back and realize we have much more control than we make the time for. Once you realize that your life is responding to you, you can get back in the driver’s seat and participate in what works better for you. I’ve found that balance never automatically happens in my life. I have to make the effort to even it out. I feel I have a full blessed life and that comes with much busyness if I allow it. Some weeks are always much busier than others, but when I start to see it continue or show a pattern, I have to pull back on my reins and regroup. Sometimes it is as simple as taking a couple of extra days off to do nothing but things I enjoy. No one has to know except my family and me . The way I keep the boundaries is if a client or someone asks to schedule time with me on one of those days, I apologize that day is already booked and I will have to look at another day. Honoring your own boundaries empowers you to take care of a more balanced, healthy life. Other times, I may have to step away from an activity or an organization to balance more. And yes, there are times I’ve said no to things I like to be part of. I just have to frequently remind myself that I can not do it all, and I can only pick a few things at at time. I may have to take turns with what I am involved in to experience the variety. These are just some of things I’ve found to work over the years and these experiences have come with many tweaks and learning lessons. Be flexible in your own schedules to include taking care of you. The more balanced you are, the better self you have to offer to others. Not only are you doing your loved ones a favor by taking care of yourself, you set an example for your families and people around you that need to learn the same. Remember the next time you are talking or thinking that your life is busy or stressful, it is a choice. And you can empower yourself by choosing more joy. More balance and rest disable some of that stress. When you compare yourself to others, you not only rob yourself of your own creative power, you steer away from your own personal strengths. We all bring a different variety and perspective to the table of life. Comparing yourself to another can easily add self doubt, unworthiness, and sometimes suffering. It does not serve us well to expect to have the same results as another. We all have different skills sets and instincts. We disempower what we can do by comparing our life, image, or our journey to another. Their journeys have their own twists, turns, and lessons to help them. You are stronger and happier when you can focus on your own path and allowing them to do their own thing. Think about your children, pets, or maybe your own friends; how different they are to each other and how you love them without comparison. Doing yourself the same favor can avoid much unhappiness. 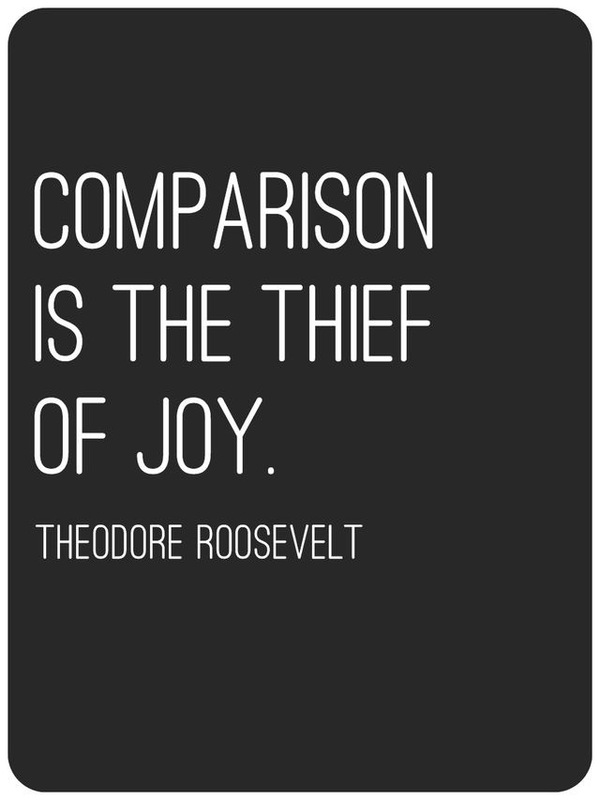 Comparing is a succubus of joy as is shame or other negative thoughts. It doesn’t place very high on the joyful emotional scale. Just because thoughts pop in your head, doesn’t mean you have to accept them as all truth for yourself. Some of our thoughts come from “well-intentioned” friends or family. We can pivot our thoughts into a more positive direction. Letting go of comparing can not only lead us to feeling better, but it frees up time for us to live and be our better selves. We can let go of wasted energy and have a better use of our time, thoughts, and energy. If our thoughts, feelings, and energy steer our life, comparing it to others would not be a helpful attractor. No one can walk, talk, feel, or be the same as you. Let them walk, talk, feel, and be the best they can be while allowing yourself the same. It will help decrease negative feelings or resentment that can creep up in comparing. Compare less. Empower more. What we do for ourselves gives us the strength and knowledge to do it for others. The more kind and giving we can be with ourselves in turn helps us extend that out to those around us. And you send a powerful energy out into the universe that contributes to the world. I have found peace, kindness, and love to be some of the strongest forces in our universe. Let’s leave comparing to prices and products, and allow our fellow humans to be individuals with individual results. Just as we are all wonderfully and differently made. You can trust your dreams. We are born with instincts that serve us for our entire lifetime. Sometimes our life experiences and people we grow up around teach us out of listening to ourselves. We pass along patterns of things we may think are better advice. Often it can be very beneficial to learn tips from people that may have traveled a road ahead of you. I think we can forget the importance of listening to our instincts as well. We can not have the same experience as other people so you have to wade carefully when listening to advice. It can save us some time and trouble when people share, but be aware of your own navigation. When we receive inspiration, an impulse or a gut feeling, that is our invitation to possibilities. Other people can not receive your opportunities for you and often will not understand following your path. When you share a dream or idea with someone, you may receive their fears as advice. For example have you ever shared something daring you wanted to do with someone and their response was “Well, you can’t do that” or “I don’t know how that could work out”? At times we immediately shut down and agree, or we could realize that their response is only a reflection of their fear. Just because they do not know how to do your idea or work it out has absolutely nothing to do with you. They are simply sharing their doubts. When we can trust our hunch and walk out on faith, doors open and the right people show up to support you on your hunch. It can take a little courage on our part to stand with our instincts. They do not have to make sense to anyone to keep moving forward. We often look for approval to move forward without realizing they come from a different perspective and getting their own ideas and hunches. We also do not see the entire road as we set out on your journeys in life, but neither do you when you get in your car and drive a long distance. I do bet you believe you will get there or you wouldn’t be on the road. So in life it is a similar analogy. We can let the unknown stop us from starting our dreams and passions, or like driving to a destination, you can trust you will eventually arrive. If you wait for all the pieces to fall perfectly in place, you often stay stagnant and this can lead to unhappiness. Waiting for the right time can rob you of joyful experiences and the chance at your dreams. It is another reason why it is called a leap of faith. You move forward trusting that not only it will work out, but the path lights up along the way. We all still stumble and make mistakes on our journeys to our dreams–just as in life it can be full of ups and downs. Many successful people in their careers and dreams speak of falling many times. The difference is they got back up. They trusted their hunches and followed through. No matter how long a dream can take to come to fruition, the time will pass anyway. What better way to spend some of your time and days than pursuing what you enjoy? You will be happier as you reach your goals and dreams. I encourage you to listen to those inner voices and callings and follow them. If you’re too vulnerable to share them, nurture them with yourself first. And if you choose to share them, don’t take others’ reactions too personally. You have the gift of your own instincts for a reason. They are for you. Allow those who will support you and help you show up, and be patient and kind with those that may not understand. Just don’t let other people stop you with their doubts and fears. Perhaps you will even inspire them to listen and discover their own dreams. While you follow your own inspiration, you show an example of how they can dare to follow their paths as well. Trust your dreams, no matter how far-fetched they seem from logic. As Martin Luther King once said, “You don’t have to see the whole staircase; Just take the first step.” Paths are one foot in front of the other. And keep moving forward. Many things will happen along the way, but you can Trust Your Dreams. When your feeling good, happy, grateful, and joyful, that frequency goes out into the universe creatining an electromagnetic field comparable to that of gravity. Bioelectromagnetics is the study of the interaction between electromagnetic fields and biological entities. Just like the nerves in our nervous system are electrical energy signals; they create energy fields around the body, and electromagnetic energy waves that can travel away from the body. Human electricity energy is generated by chemical processes in the nerve cells. Billions of nerve impulses travel throughout the human brain and nervous system. Just as electricity passes through a metal wire, it causes an energy field or magnetic field similar to how the human brain and nervous system creates human magnetic fields. The human heart and nervous system creates electric energy waves that can be detected by modern science instruments. Energy waves can also travel long distances, just like heat, radiation, and radio waves. Emotions have unique vibrations just like colors and physical objects. When you are happy, joyful and having fun, your body’s vibrations are lighter, higher, and faster. When you feel negative, low, and down, your emotions are giving you a slower lower vibration. 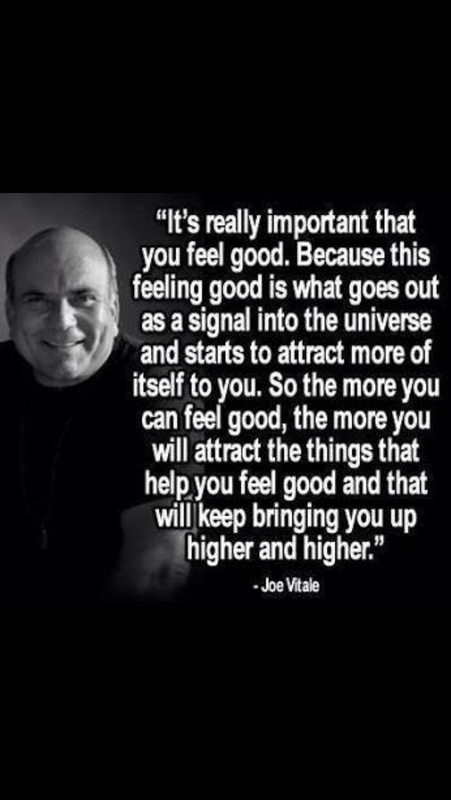 Feeling good produces a signal out into the universe and that starts to attract more of itself to you. The more you can practice ways of being happy and joyful daily, the more you continue to not only bring the things that help you feel good, but also increase your vibration higher. The higher vibration attracts like vibrations. Basically more happy attracts more happy things. Joy attracts joy. So pay attention to how you feel daily and focus on ways to feel more joyful. The old saying of misery loves company is on point. But the good news is, joy loves joyful company. You can use your powerful energy to set your signal(vibration) towards what you would like to attract in your life. Every day it is important to feel good. Feeling good is also your gift to the world. Watch how you interact with others when you feel good. Notice if you are more kind or patient. Notice what it brings back to you. Raise those vibrations and signals to meet the life you imagine. Every statement you make with I am is an affirmation of attraction in your life. Choosing the way we use our declarations is very important. Especially if you want to feel happy. For example through the years I have heard many friends say “I am fat.” This is actually not only a false statement, but a disempowering phrase that you do not want to be using unless you enjoy feeling “fat.” You have fat, but you are not fat. Just like you have fingers you don’t tell people that “I am fingers.” Now do you? Every time you use the description I am to anything, you are in that moment attracting more of the feelings and circumstances of that evidence into your future. You are constantly a creative being. Everything you say declares what you are attracting more of. So learning to pay attention to what you say and how you say things about yourself is an affirmation into your future. It can feel a little tricky with your words when you aren’t use to paying attention and being careful with them. Also some people have a hard time affirming “what they would like to see” in the now. That is ok. As you practice you can begin with at least better statements and more empowering ones to yourself. You can choose to say “I am improving every day.” You could say “Each day I’m becoming more fit.” Or you could also say “With each moment, I am feeling better.” You have so many options to use more positive statements rather than self- sabatoging ones. Basically think of the things that you dislike about yourself and stop declaring them to other people and the universe. By focusing on our flaws, we do not help improve them, we help attract more of what we do not like. You can improve on how you feel about those things now. In some circumstances you have the option to change them, but to move in that direction, we have to first create positive space for the chance to improve. We each have an abundant amount of wonderful qualities to show and share with the world. It doesn’t serve us in our futures to shine a spotlight on our “imperfections.” The more we focus and shine a spotlight on our strengths, the more we tip the scale in our own favor. Most often the people we interact with aren’t focused on our “insecurities” unless we give them a reason to. I know that when I am in a conversation with someone, I am listening to what they have to offer and share. People tend to be more concerned with how you treat them and make them feel rather than your appearance, while you may tend to feel like they are noticing what you would like to improve. So you can start taking the worries and anxiety away about yourself and use your affirmations more wisely. You are loved, you are valued, you are beautiful, you are strong, you are capable, you are able, and you are most certainly creative. Use these declarations more often than disempowering ones. With practice you can cut down on the disempowering declarations and improve your I am descriptions. 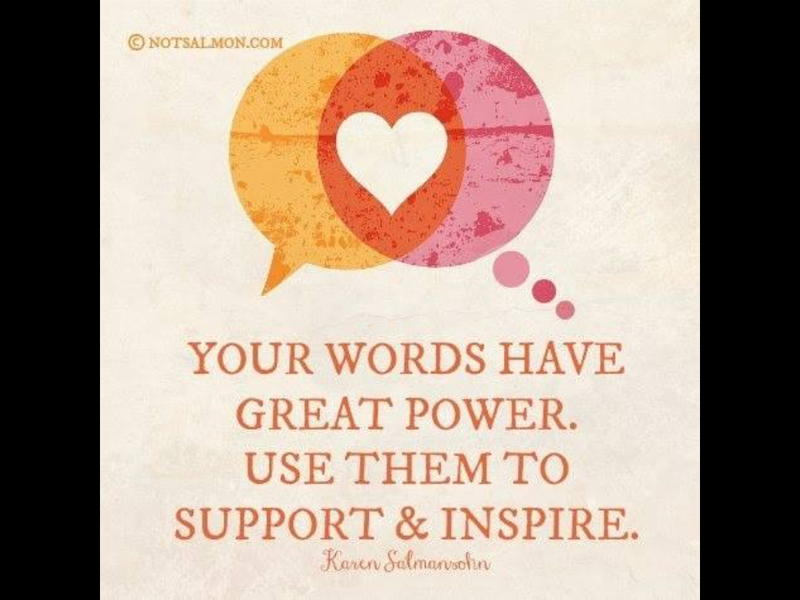 Over time you improved statements will reflect in your life and feelings. The better you feel, the better your vibrations are at attracting positive frequencies.